Alleged NVIDIA Maxwell Architectural Specifications Unveiled - Project Denver To Appear in Maxwell Refresh? Alleged NVIDIA Maxwell Architectural Specifications Unveiled – Project Denver To Appear in Maxwell Refresh? Allegedly new information regarding the NVIDIA Maxwell based chips and their architecture have been leaked by a random user on pastebin. Their have been various rumors flying by regarding the chips and don’t take this news too seriously since it could be made up too but some of the information is highly plausible so we will take a look at it nevertheless. Its common knowledge that NVIDIA is going to introduce their latest Maxwell architecture next year which will introduce a robust new architecture design featuring new levels of graphics performance in both gaming and the compute world. 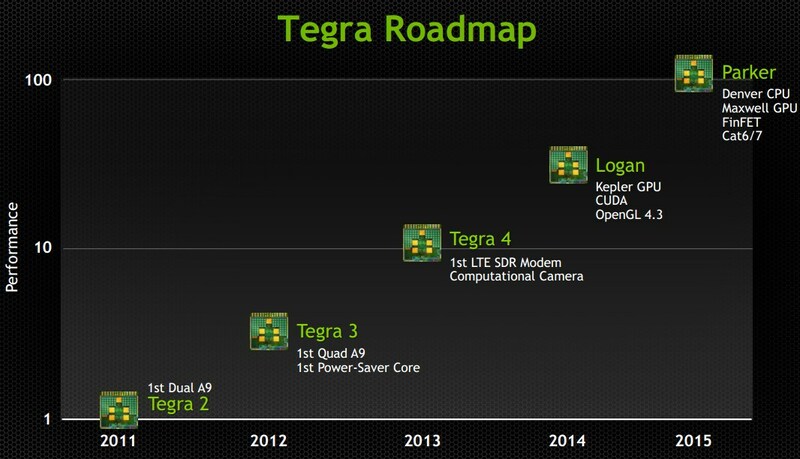 NVIDIA has plans to introduce four chips next year which include GM100, GM104, GM106 and the GM108. Compared to Kepler, these new NVIDIA Maxwell chips would feature a slightly enhanced SMX unit structure and made some optimizations so that the double-precision algorithm logic unit can now be used for the Single-precision too supporting all the new SP instructions. Instead of 192 ALUs, a single SMX unit would now feature 256 ALUs which would reduce the DP rate of Maxwell down to 1:4. While technically this looks like a downgrade over Kepler, the actual performance would boost the SP numbers over Kepler. This will save power when using SP performance since the unused processes of the DP ALU would be turned off. NVIDIA also made some changes with Cache Hierarchy big time with Maxwell with the addition of two registers per SMX unit and threads with a huge amount of registers can now run in parallel of each other. The L1 cache is supposedly increased to 128kb compared to 64kb on Kepler and can be used as shared memory too. It can be split between the cache and shared memory in the following steps – 32/96, 64/64, or 96/32. 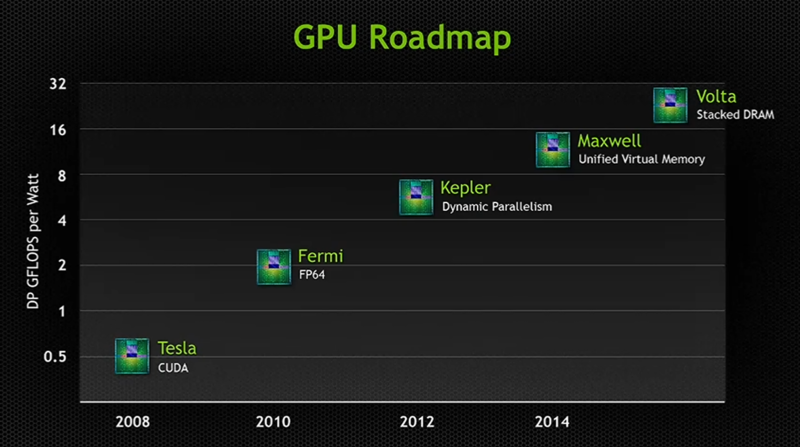 Just like Kepler before it, NVIDIA Maxwell would feature 16 TMUs (texture mapping units) per SMX. The NVIDIA Maxwell GM100 chip would consist of 8 GPCs consisting of 24 SMX modules (3 SMX Per GPC), 384 TMUs, 6144 Cuda Cores, 8 MB of L3 Cache (8 L2 cache’s per GPC), 64 ROPs, a 512-bit interface followed by a VRAM upto 8 GB GDDR5 operation at around 6 GHz. The GM100 is supposed to replace the high-performance GK110 chip so its going to end up in both GeForce parts and Tesla parts. It will probably show up in the Tesla parts first before shipping to consumers. The NVIDIA GM104 would replace the current GK104 chip which we have come to know and love since the arrival of the GeForce GTX 680. This chip would feature 5 GPCs with 15 SMX units featuring 3840 Cuda Cores, 240 TMUs, 40 ROPs with a 320-bit interface coming out with 3 GB VRAM (possibly 2.5 GB as done with Fermi) clocked at around 7 GHz for the memory and 1 GHz for the core. The GM106 would be replacement for most of the sub $249 Kepler chips such as the GeForce GTX 660 and GeForce GTX 650 Ti / Boost that were based around the GK106 core architecture. Specifications wise, these chips would see a massive uplift from 960 cores maxed on the current Kepler generation all the way to 2304 ALUs on the GM106 parts. These would be arranged in 3 GPCs which will consist of three GPCs. Like the GM104, the GM106 would feature 4 MB of L3 cache, 144 TMUs, 24 ROPs and a 192-bit interface with 3 GB VRAM operating at 7 GHz clock speed. The last chip in the lineup would be the entry level GM108 which is one step behind the GM107 that is not detailed yet but these chips recently appeared in the latest ES drivers which can be seen here. The current ES sample lists the following specifications – 576 CUDA cores, 48 TMU, 8 ROPs, 64-bit memory controller and a die size similar to GF117. NVIDIA Project Denver To Appear in Maxwell Refresh? As for the much awaited Project Denver which is supposed to launch with Maxwell will supposedly be debuted with the Maxwell refresh graphic cards. The user reports that NVIDIA will wait for the new FinFET process that is going to be used to prepare Project Denver and only then fuse them on their Maxwell chips. Their’s some truth regarding this information since NVIDIA showcased their Tegra roadmap at GTC 2013 which showcased their Parker SOC featuring NVIDIA Maxwell and Project Denver CPU inside a die which will be manufactured using the new FinFET process. The Project Denver CPU utilizes specialized 64-bit ARM Cores which would be fused alongside the GPU die. The specifications for the refreshed part would remain the same and consist of GM110, GM114, GM116 with only the GM110 part getting the full 8 Core Denver CPU. The GM110 part would actually be known as the GM110SOC, the SOC represents a System-On-Chip design. The consumer version of the GM110 with Denver would feature four cores along with the GM114 chip while the GM116 part would only feature two cores. The user mentioned that GM118 wasn’t mentioned with Project Denver so its likely it won’t featuring the new architecture. Project Denver would feature a coherent link to the L3 cache and will offload the heavy work from the system CPU to the Denver CPU itself. The user also claims that NVIDIA believes Project Denver and driver optimization would give their cards a higher boost than a proprietary API such as AMD’s Mantle would deliver on their GCN products. This is it for the information, you can take this with a grain of salt since much is yet to be confirmed regarding Maxwell but similar reports emerged month’s before Kepler’s launch which turned out to be accurate. The most important thing we cannot confirm at the moment is whether these chips would be available in 1H of 2014 or not since TSMC is to begin volume production on their 20nm chips in February 2014 and AMD who recently launched their Volcanic Islands series would only tape out their new chips by 1H of 2014 with new products not out until end of 2014 or early 2015. This would mean early 2014 would mostly be the launch of new mobility chips from AMD (Crystal Series) and NVIDIA (Geforce 800M Series) with actual consumer desktop solutions in 2H of 2014. 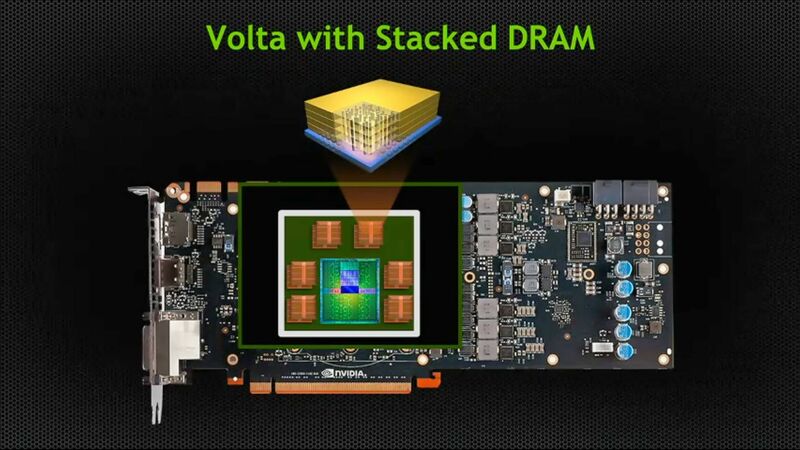 In 2016, NVIDIA would unveil their next generation Volta graphics card which would eliminate all the bandwidth issues faced with current generation graphic cards by featuring 1 TB/s memory chips stacked on the graphics die. More on that here.